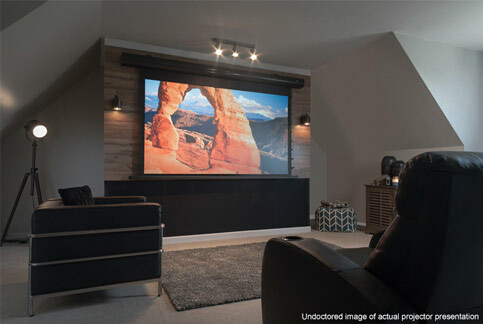 The Starling Tab-Tension 2 CineGrey 5D™ Series is an electric motorized retractable projector screen that uses an Ambient Light Rejecting material. The retractable feature provides flexibility to mounting the screen without dedicating its designated location to exclusively one purpose. The ambient light rejecting material is formulated to sustain excellent color reproduction and contrast for enhanced picture quality in environments with little control over room lighting. Does this unit come in white case?